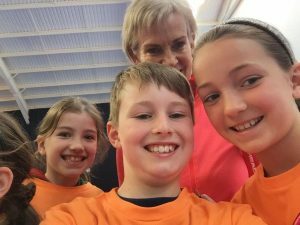 On Wednesday 23rd May, pupils from primary 2 and 4 were invited to David Lloyd Club to meet Judy Murray. When we arrived we got changed into sports clothes and we were given an orange t-shirt to wear. 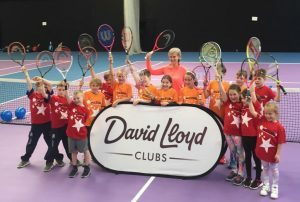 Judy played a game with balloons to teach us to look up when we play tennis (she said lots of tennis players forget to do this!). There were lots of people taking photographs and we enjoyed taking some selfies with her! 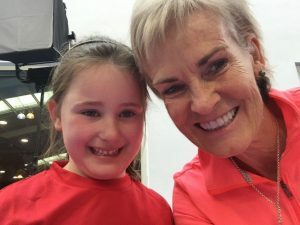 Our favourite part was getting to be part of the celebrity rally with Judy! We hope that next time she brings her son with her!